When I was a sophomore at University of Denver, I transferred into the business school and changed my major to real estate. As a student of real estate, I became fascinated with Hawai‘i’s Great Māhele and the actions of Kauikeaouli, Kamehameha III. Prior to the Māhele, the king controlled everything; he delegated authority to some of the land to his favored chiefs. The Great Māhele did not convey land, but established a land commission and provided the means whereby land claims could be presented to the commission and decided by them. Ultimately, it transformed land tenure from feudal/communal trusteeship to private ownership. It turns out that the Māhele is not my only tie to Kamehameha III. In doing research for various planning projects we have been involved with, I learned of Kamehameha III’s ties back to Hiram Bingham, my great-great-great grandfather. While doing a Master Plan, Cultural Impact Assessment and Environmental Assessment for DHHL on their lands on Mauna Kea, I learned that Bingham and Kamehameha III traveled to the summit of Mauna Kea together. Mauna Kea is a very special place for me. In doing some preliminary research for another planning project on Kaua‘i, I learned that Bingham and Kamehameha III interacted with each other there, as well. Since I spent a lot of time in Kona, I was aware that Kauikeaouli’s Birthsite was in Keauhou. This is one of the featured sites in the Royal Footsteps Along the Kona Coast Scenic Byway; we prepared its Corridor Management Plan. Kauikeaouli spent the first 5-years of his life in the ‘O‘oma ahupua‘a in Kona (the place where he first learned to be a king.) For the past five years, I have been working on planning and permitting on the coastal part of the ‘O‘oma ahupua‘a. In 1846, Kamehameha III and the legislature passed a law declaring “the forests and timber growing therein shall be considered government property” in an effort to conserve the forests from further encroachment on the seaward side by the plantations’ need for fuel and on the mountain side from grazing animals. The Forest Reserves in the state are managed by DLNR; as Director of DLNR, I oversaw the activities and was responsible for DLNR’s Forestry and Wildlife Division, which oversees the State’s forested lands. 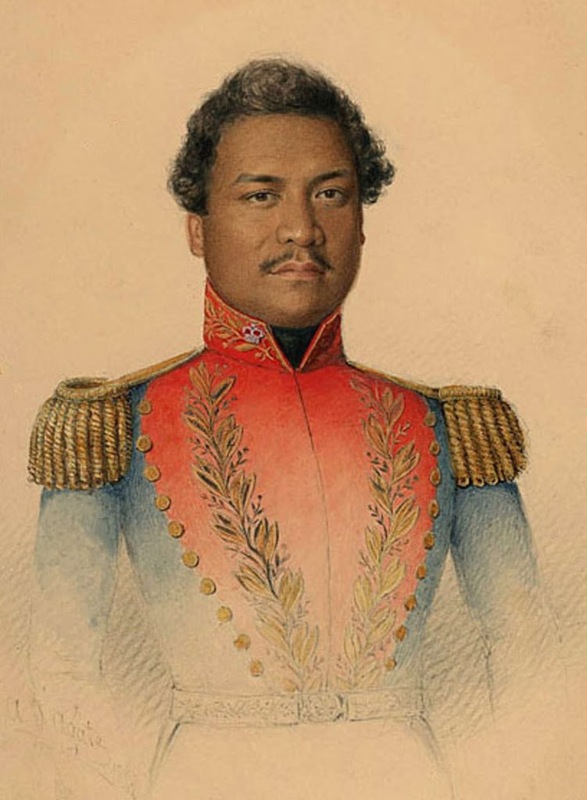 I wonder how our next project will link me back to Kauikeaouli – Kamehameha III. Kauikeaouli was stillborn, but was revived. He was the second son of Kamehameha I. The younger brother of Liholiho, he served as Hawai‘i’s King from 1825 to 1854. Kauikeaouli was only about 10 or 11 when he ascended to the throne and had the longest reign in Hawaiian history. In the early years of his rule, he served under a regency with Ka`ahumanu, his father’s favorite queen, as joint ruler. In addition relinquishing his ownership and control of lands through the Great Māhele, a major gift to the people of Hawai‘i, Kauikeaouli also initiated other beneficial programs for his people. Kamehameha III promulgated the Declaration of Rights, called Hawai‘i’s Magna Charta, on June 7, 1839, the Edict of Toleration on June 17, 1839 and the first constitution on October, 8, 1840. Kauikeaouli’s second major gift to the Hawaiian people was when he granted the common people the right to participate in governing the Hawaiian Kingdom. This first written constitution for Hawai‘i contained several innovations, including a representative body of legislators elected by the people. It also set up a supreme court. The first compilation of laws was published in 1842. His exact birth date is not known; however, the generally accepted date is August 11, 1813. Happy Birthday and Cheers to Kauikeaouli, Kamehameha III. I think I’ll have a Guinness (or two) tonight in his honor.